The way to prevent or shorten the duration of a cold is to boost your immune system – and ensure it’s working at peak capacity. Because, of course, a cold is caused by a virus – so antibiotics won’t help. The natural food ingredient beta glucans 1-3, 1-6 is the best researched and most effective natural immune booster. 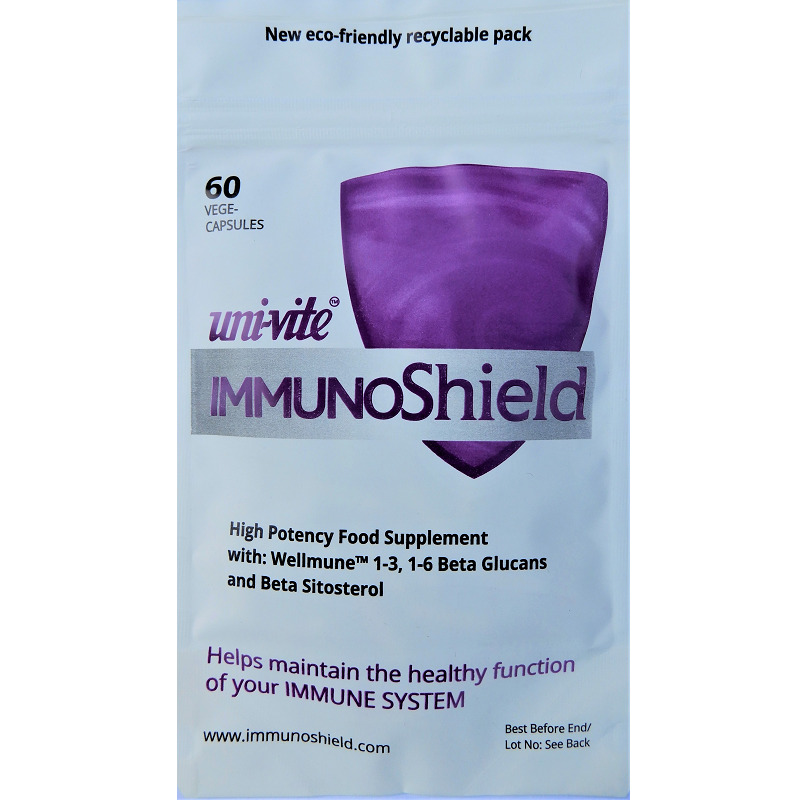 ImmunoShield contains Wellmune ® 1-3, 1-6 beta glucans, a patented version proven by over £120 million of research. Key elements in your immune system are white blood cells called neutrophils, Natural Killer cells and macrophages. 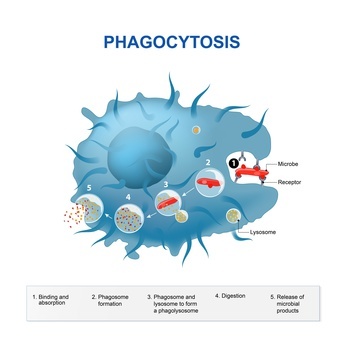 The neutrophils attack and destroy pathogens like cold viruses or bacteria and the macrophages ‘gobble’ them up (macrophage means ‘big eater’). This illustration shows how macrophages digest and break down a pathogen like a cold virus. When the Canadian Department of Defense tested over 100 immuno-enhancers, the patented Wellmune beta glucans in ImmunoShield were rated No.1 for effectiveness. Not all immune boosters are created equally or are safe for everyday use. Some boosters on the market may artificially stimulate the immune system, which can have harmful effects particularly if used too long. Others lack the rigorous clinical research to support their claims. For these reasons, front-line medical staff in NHS hospitals were advised about the benefits of ImmunoShield through their in-house magazine. So if you work closely with others in classrooms, offices and surgeries, or travel on crowded public transport, you should consider the clear benefits of building up your own and your family’s immune strength.